Kittredge Field, home of the Buffaloes, is a turf field equipped with lights and bleachers. 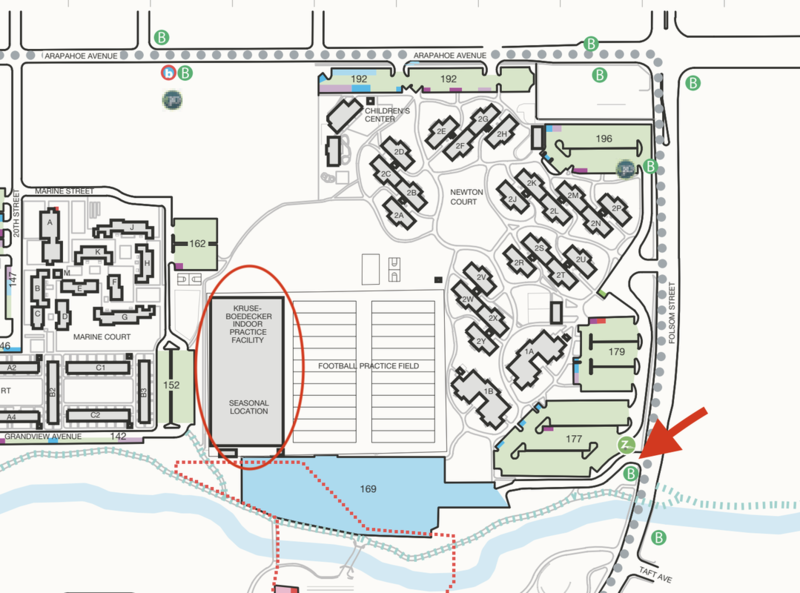 It is located along Kittredge Loop Drive on the southern side of campus. Once you are entering Boulder, the the Baseline Rd. exit. Turn left onto Baseline Rd. at the light at the end of the exit ramp. 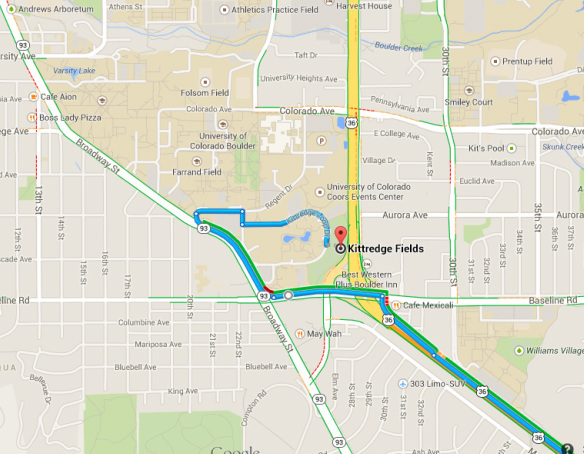 Turn right onto Regent Dr. to enter CU's main campus. Turn right onto Kittredge Loop Dr. Follow the loop around to Kittredge turf fields. Parking can be found in Lot 416. The Bubble is used by the Buffaloes during the winter months. It is a turf field that is covered entirely and lit with hanging lights. It is located behind Folsom Field. Parking can be found in lot 169.